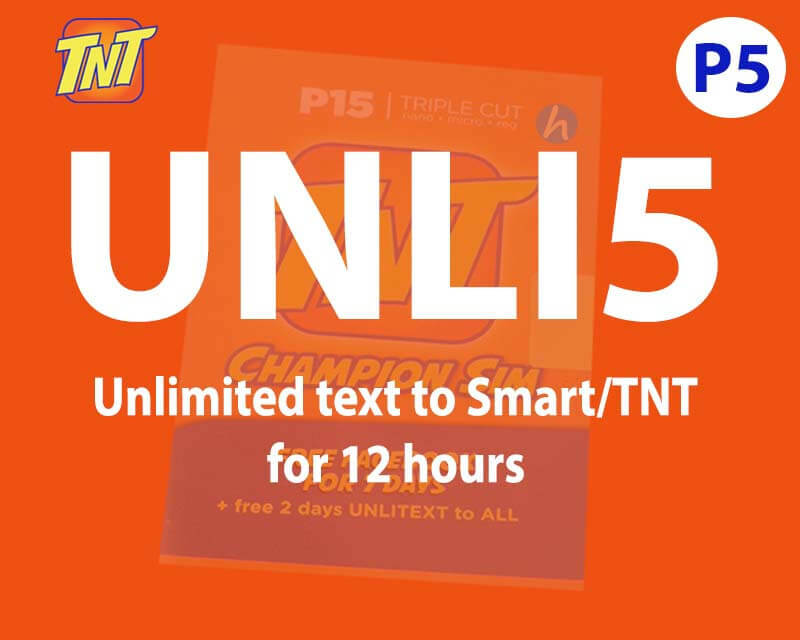 Here is a very affordable unlimited text promo offer by Talk N Text prepaid, for only 5 pesos you can text all day to Smart and TNT subscribers. Unfortunately, the UNLI5 package is only available to Champion SIM users, which is the downside of this package. If you are using a regular Talk N text SIM, you cannot register to this promo. With your 5 pesos, you 12 hours of texting time after your successful registration. 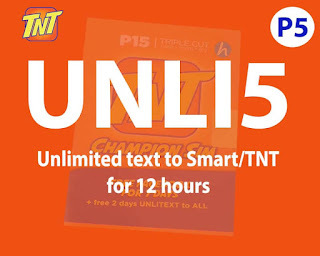 The best time to avail TNT UNLI 5 is during your free time, after class and during the evening to make use of the promo validity. Once again, this promo is only available to TNT Champion SIM users. You can subscribe to this unlimited text promo by simply texting the keyword and all you need to do is reload your account with P5.00. Make sure you receive the confirmation from Talk N Text before you start using this offer. Here’s a sample notification as a go signal that your UNLI 5 is ready to use and active.